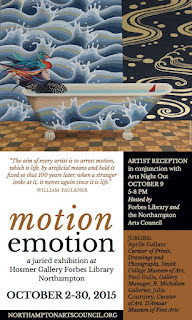 The Northampton Arts Council will host a reception for their 2015 Juried Biennial Exhibition entitled Motion-Emotion. The reception will take place in conjunction with Arts Night Out at Hosmer Gallery-Forbes Library on Friday, October 9th, 5pm to 8pm. The event is free and open to the public. 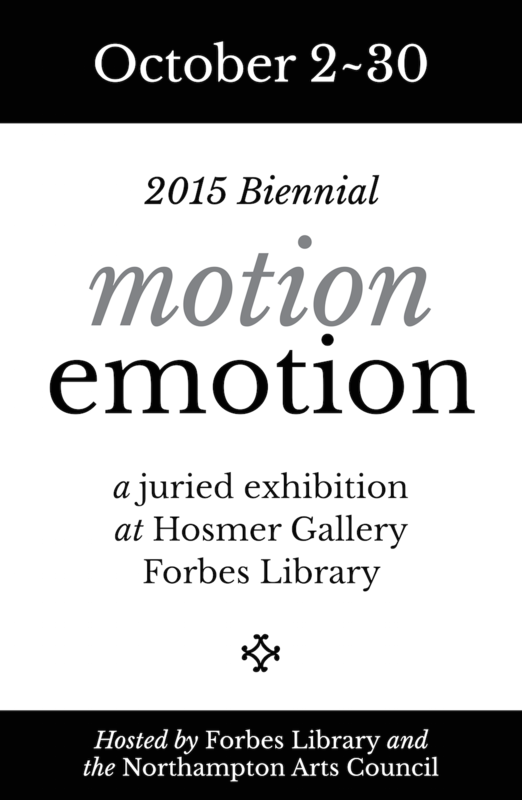 Motion-Emotion is a juried exhibition of work interpreted freely by 2D, 3D, and video. 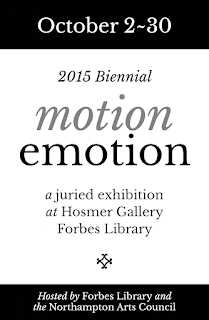 The exhibition is of works by artists living and working in Western Massachusetts and is located at the Hosmer Gallery in Forbes Library during the month of October 2015. Motion-Emotion presents a wide variety of types and styles of art from photography and paintings to cinematography and sculpture, all of which revolve around the central theme of a quote by William Faulkner: “The aim of every artist is to arrest motion, which is life, by artificial means and hold it fixed so that 100 years later, when a stranger looks at it, it moves again since it is life.” The exhibition showcases the work of 32 different local artists that were selected from a group of more than 124 artists who submitted over 279 works of art for consideration. 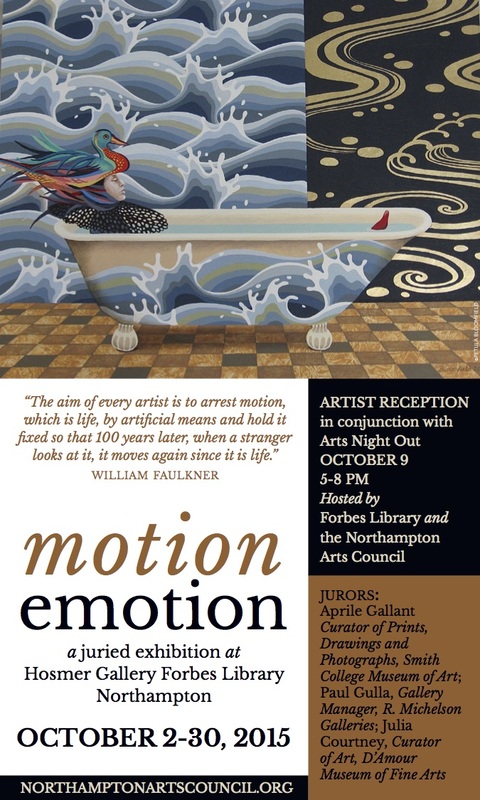 Please join the Northampton Arts Council Board of Directors and meet all the artists at the Arts Night Out reception on Friday, October 9th from 5:00 p.m. to 8:00 p.m at the Hosmer Gallery.